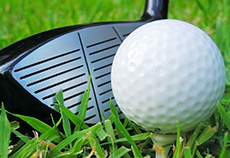 How can you approach a golf course with confidence to play it? How is this possible all the time even though you’ve never even played on the golf course in question? This is a tough one because every golf course is completely unique in its layout, design and the obstacles it presents. Challenges on one course will be totally different from another one. So here’s our advice on how to become the type of player that is NEVER intimidated by a golf course—no matter how new he or she is at playing it. There’s usually a lot of reading material out there about golf courses—perhaps even the one you plan to play. People who have played these courses and reviewed them can give you a lot of insight into what to expect. Read up on these and remember some of the key points while you play. You may also want to keep some of the hole numbers in your mind so that you don’t underestimate them when you get there. If you have found a golf course on the internet, you will be able to download a map of it. This map should be studied intensely if you are to master the intricacies of the course. By going over the map a few times, you will be able to strategise your play. This makes playing so much easier because you have a better idea of where the ball should go after each stroke. Playing a golf course sometime in the near future? Chat to the managers of the course and see if they will allow you to walk through the course. This acts as a preliminary training session for you and will put you miles ahead of your competitors when play starts. You will benefit from seeing the course up close without having to play. It helps you take it all in and mentally prepare for the actual game. A good golfer is always aware of his technical shortcomings. Don’t be in denial about your faults. If you don’t recognise them, you will never be able to fix them. Work on these shortcomings during your drive sessions. Don’t let up until you have thoroughly purged yourself of technical mistakes. Read up on how to make these corrections; or hire a tutor if you must. 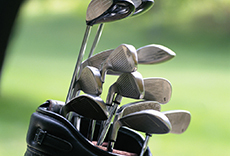 Know your tools better than your companions know theirs and you are sure to become a better golfer than most. This comes with loads of practice and experience. Practice a lot with one club until you know it well. Then move on to another one and keep at it until you become intimately acquainted with how each club feels in your hands and works on the course. All golfers will at some point end up in a spot they wish they weren’t. In order to play like a professional and master any golf course, you must train yourself to escape bunkers and rough areas. Training yourself to avoid these mistakes is of course important. But you will find yourself in a bunker or the rough sooner or later—so train yourself on how to get out without affecting your score too much. So walk up to any golf course and have the confidence to play it like a true professional. 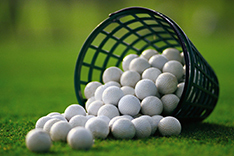 Your golf buddies will be amazed at the skill and dedication you put into your games. "Thank you for covering up the most important things for traveling. Now I can be sure to forget nothing when I'm getting ready to departure." " Original ideas I find really helpful for making my golf vacations really unforgettable."